This is one lemon you would love to own. This is one car that will be impossible to miss. Top Car has released a Cayenne Vantage 2 that is hilariously referred to as the &apos;Lemon&apos;. This nickname is not due to what is sitting under the hood of the Porsche Cayenne (958), but it&apos;s citreous lemon color accented by a special pearl lime paint covering the car&apos;s details. The Vantage 2 set includes front and rear bumpers & fender extenders, side skirts and kicker plates, hood & boot lid spoiler. 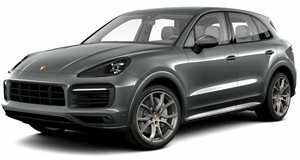 The Cayenne also gets a new set of exhaust tips designed in the style of the Porsche Carrera GT. As with all Top Car creations, the interior stays true to form with its finished black perforated leather and lime green piping. It has been confirmed that this particular design was a special order for a European customer with a taste for the unusual and all things yellow. This is another example of Top Car once again living up to its reputation of speccing just about anything you desire and turning it into a reality.